Think about the last time you had an excellent experience, whether that is online or in-store. What did that make you feel? Happy, engaged and satisfied are common words used when customers relate good interactions with businesses. Now think about a time where you had a terrible experience with a company. When you got off the phone or left the store, you were most likely experiencing feelings of anger or frustration, and perhaps the issue was left unresolved in your eyes. 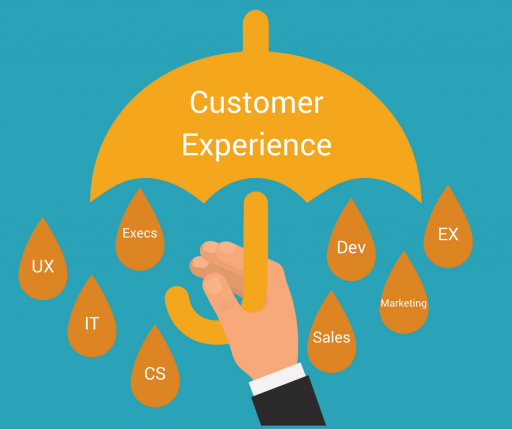 To understand overall Customer Experience, we learned that we first have to understand the umbrella that combines User Experience (UX), Employee Experience (EX), marketing, executive leadership, IT, Development, sales and customer service. That’s right- everything about your company is CX, and everything should be about Customer Experience. Attached to those departments are the channels – instore, online and calls. Most companies do one or two of the channels well but fail in the other categories. 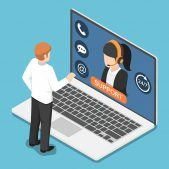 For instance, a firm can have a fantastic website that is intuitive to that customer’s needs; however, if that customer calls in and the employee can’t bring up their account, the overall CX perception will be negative. Thus, for Customer Experience to be satisfying, companies must utilize an omnichannel journey that creates delightful experiences for customers. Take Disneyworld and Disneyland for example- they employ both a top-down AND bottom-up approach, meaning that they not only trust the executive leadership to make critical decisions, but Disney also empowers every single employee to do anything in their ability to make that experience memorable. The characters are given the autonomy to make decisions without asking a manager, creating magical experiences that consumers talk about for years. That freedom then drives their marketing and sales- think of all the commercials you have seen where Cinderella twirls around with a little girl and calls her “princess.” Further, the user experience doesn’t change from the moment they book- every aspect of the trip is tailored to match the magic of their brand. Customers should not have to learn your organizational chart or your process to do business with you. That explains why all the channels matter. When your customer moves from online to your storefront to calling in, the experience should be the same. Customers should not have to learn your organizational chart or your process to do business with you. The process to create a brand centered around a positive customer experience needs to have consistent wins, where the customer has delightful encounters over and over again no matter what channel the interaction takes place. Yes, even your company’s app can diminish your customer experience! That is where User Experience and Development comes in to make the journey smoother. As businesses move towards personalizing transactions, it is imperative to build and maintain trust. 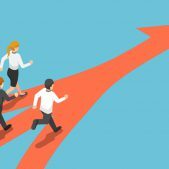 Many executives know that they need to update their experience portals to facilitate this, but they may not know what the technology is called or even where they need to begin. 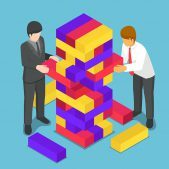 Companies are finding that they often need an expert come in, analyze the problem areas and then strategize goals to help businesses change their customer perception to decisive wins. UpTop is unique in that we can inject our subteams into multiple channels to bring velocity to the entire project. Whether the sore spots are UX, EX, Analytics, or Development, we have the experts ready to map your journey towards delightful customer experiences! Ready to learn more? Let’s Humanize Your CX.